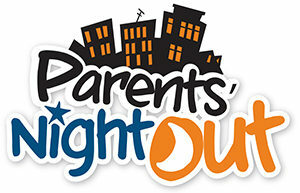 Parent’s Night Out (PNO) is offered monthly as a time for parents to get away and enjoy some “grown-up” time while confident their children are well cared-for. Each member of our nursery staff has been background checked, CPR certified, and have many years of experience. Payment is made online via Paypal here. Please sign up no later than Friday at noon.